I'm totally baffled by how stylish and almost glamorous she looks whilst building a plane. 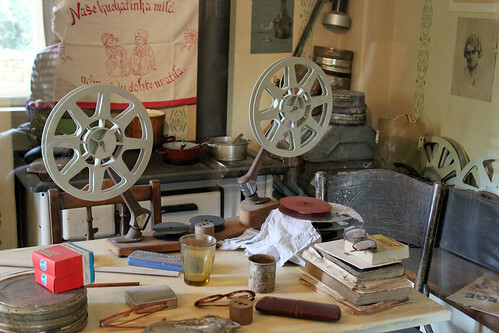 Cinema equipment of days gone by on display in one of the buildings on the Goldsmith Street in the Prague Castle complex. Lunch rush on 5th Avenue, New York City, 1950. Photo by Andreas Feininger. Rosalind Westfall (right), one of the few women to receive the Air Medal during the war logged over 1,000 hours as the member of a bomber crew. She didn’t run combat missions, but instead became an in-flight nurse for men being air-lifted back to the States.